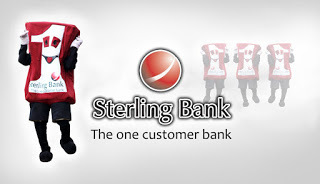 Recently I posted on how to check your sterling bank accountvia mobile phone and now it’s how to purchase airtime from your sterling bank account… WOW, Sterling Bank customers are really enjoying, They can now buy airtime from their bank accounts without the use of internet or any special app. This post will guide you on how to recharge your line and that of your friends from your Sterling Bank account. >>The registered line is usually the particular line that receives the alert notifications on your account with the bank. Simply dial *822*Amount# from your mobile line that is registered with the bank. For example; to purchase #500 credits.. dial *822*500#. But if you want to buy airtime to other lines from your sterling bank..you can also do that also buy doing this procedure below..
To recharge other mobile lines from your sterling bank account, simply dial*822*Amount*Mobile-Number# from your mobile line that is registered with the bank. For example; to purchase #1000 credits to that particular phone number. That’s all, it’s very easy and fast.